Here is today’s wrap. I felt like I was doing something quick and simple when I wrapped it in the morning, but every time I looked at it I was impressed with how well it matched my outfit (I had on a turquoise skirt). Just goes to show you that a patterned shirt can bring together clashing scarves! Hmm… maybe this is a key to world peace! the wrap looks good! It’s just that I personally would not have combined it with a turquoise skirt – and that is one of my problems with coloured tichels (I looooove colour! ): I am somewhat reluctant to combine them with other colours. It is easy to wear a bright pink scarf with black and white – but do you have any advice on matching colours with colours? Would appreciate any advice on that! Thanks! I really like this wrap it’s really sparky and beautiful ! The new design of the website is also really great ! I love the bright colors also, but I too wonder about what to wear with what. That would be a lovely tutorial for all of us. 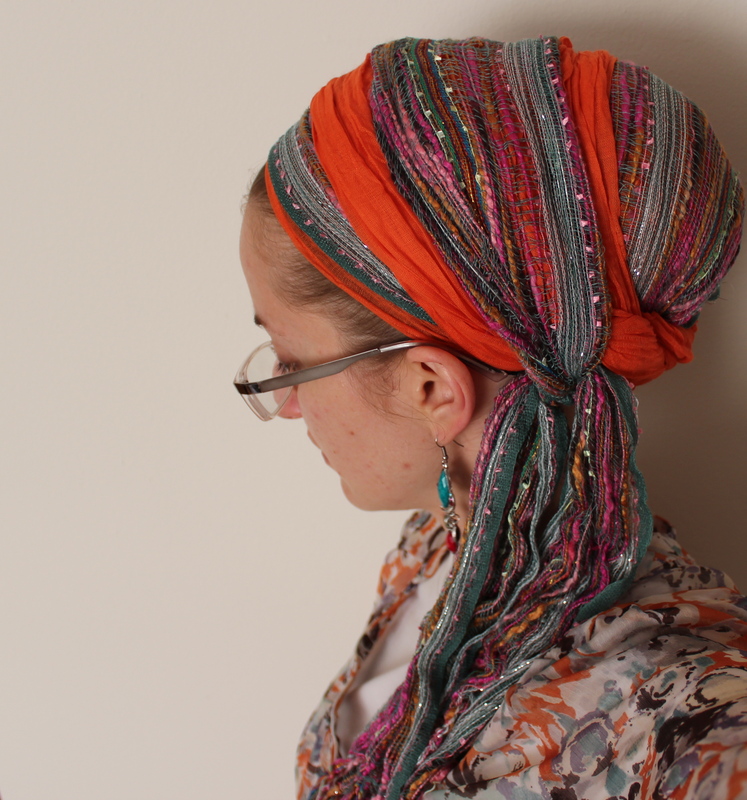 I always feel that if I am wearing something patterned than I need to wear something simple on my head and vice versa. I grew up with the stigma of opposing patterns and colors are not to go together etc. so this is new to me regarding what to wear with what. Hi! I love this wrap! Can you tell me how you did it though? Do you have a tutorial maybe? 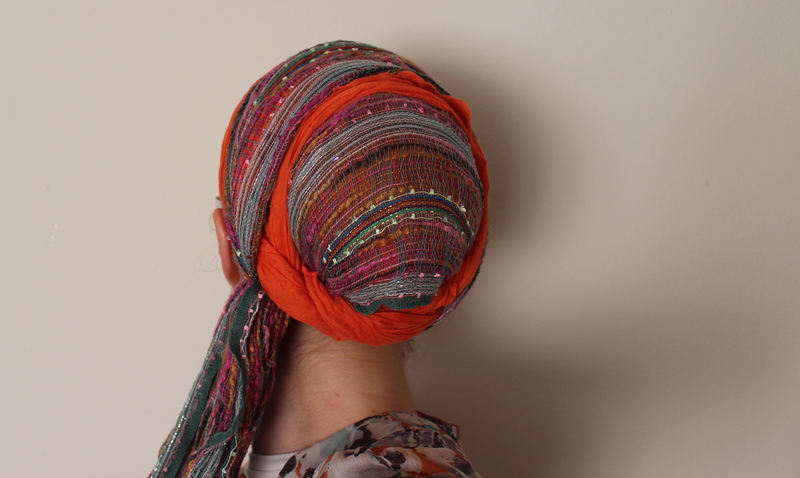 I have two scarves that would work very very well with this wrap! Almost identical to these in fact. 🙂 But I have no idea how to wrap them to look like this.. please let me know?